We Asked. 'Mother' Answered. Pat McGrath's Iconic Eyeshadows Are Going Solo! Pat McGrath Labs product on display at SEPHORiA: House of Beauty - Session Three on October 21, 2018 in Los Angeles, California. 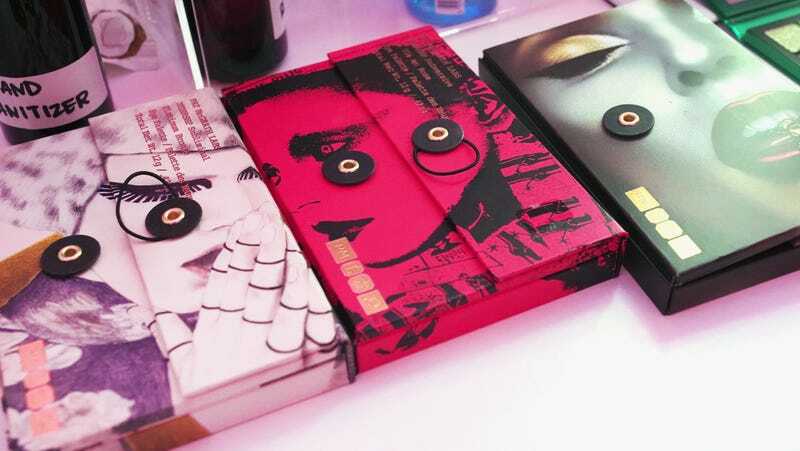 For makeup junkies everywhere, there is perhaps no more covetable item than a Pat McGrath eyeshadow palette. So gorgeously curated and pigmented, so luxurious in texture and sexily packaged are her in-demand shadows, at $55-$125 each, they’ve become one of the ultimate splurges for the makeup-obsessed (yours truly included). Well, now McGrath—fondly known throughout the fashion industry as “Mother”—has found a new way to get us to spend our money, with the upcoming release of her Eyedols Eye Shadow singles, set to debut on her website on Thursday, March 28. And baby, my body is ready—or, at least, my eyes are. No more having to buy the whole palette to access one or two desired shades, you say? Count me all the way in. As someone with an overload of bronzes, golds and shimmering rose tones in my (extensive) beauty arsenal, I’d rather circumvent those when trying to get my hands on, say, the perfect purple, brilliant blue, or gemstone-like green in McGrath’s wheelhouse. But if you’ve got an empty spot in your palette where your favorite McGrath shade should be, Mother now has a remedy.